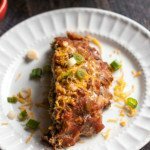 Taco Stuffed Peppers - Easy low carb dinner! 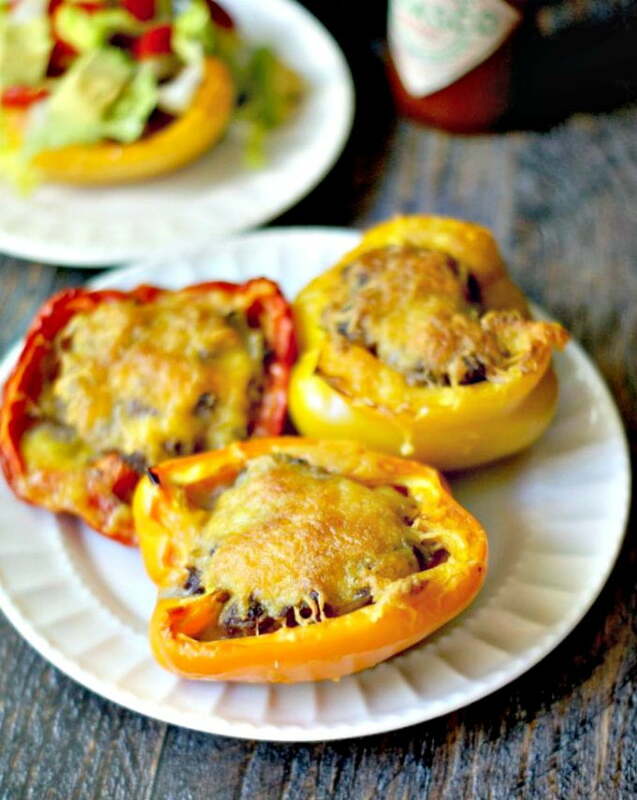 These Taco Stuffed Peppers are a tasty low carb dinner that you can make quickly and easily. Only 3.3g net carbs per serving. They will freeze well too! I’m always on the search for the perfect stuffed pepper. My husband likes them but they have to be really good. The peppers can’t be too hard and the stuffing must be tasty too and let’s not forget the sauce. Well being on a low carb diet I thought I’d try stuffing peppers with taco meat and then add the normal toppings for tacos. I was so happy that my husband loved them as much as I did and asked me to make them again. Best of all, they were so easy. The first thing I did was mix the ground meat with 3 Tablespoons of taco seasoning. I have a nice one from WildTree that is organic and free from preservatives. Next I halved and cleaned the peppers and stuffed them with the meat and sprinkled on some shredded cheese. That took only 5 minutes and then I just popped them in the oven for 30 minutes until the peppers were soft and the cheese was brown. Now for the fun part. Top them with whatever toppings you like. We used salsa, tomatoes, lettuce and avocado. But you could also use sour cream, jalapeños, black olives, onions … you name it. I made a lot so I could have one for lunch the next day. 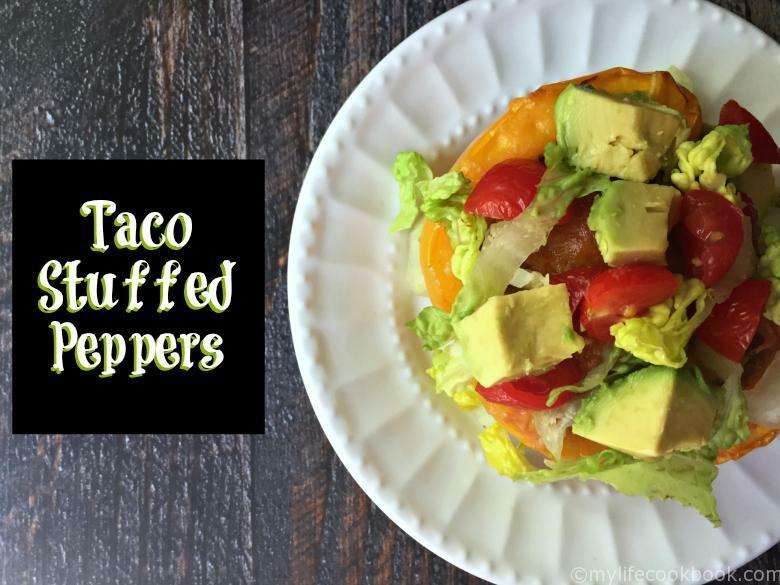 These Taco Stuffed Peppers are a tasty low carb dinner that you can make quickly and easily. I think they will freeze well too! Mix the ground beef with the taco seasoning. 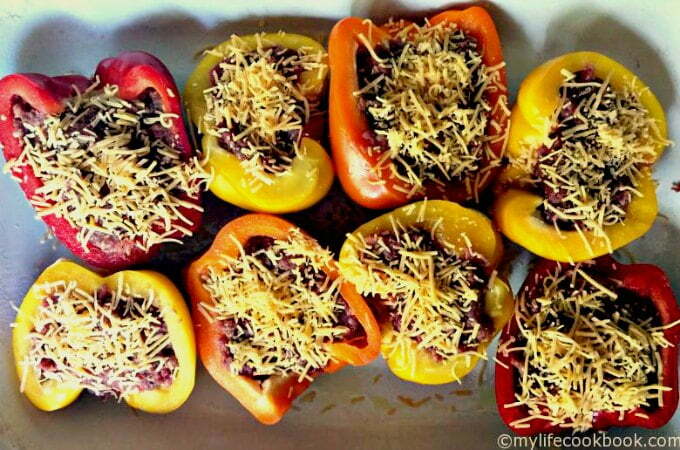 Stuff each pepper with the meat and then sprinkle 2 Tablespoons of cheddar cheese on top. Bake the peppers for about 30 - 40 minutes or until the peppers are soft and the cheese is brown. 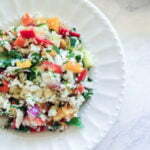 To serve, add salsa, lettuce, tomatoes and avocados on top. Or you can use any toppings you like. 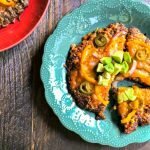 More Mexican Recipes to try! 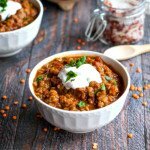 These sound delicious – and I love stuffed peppers of all kinds! Thanks for linking up to Blogger Brags. I’ve pinned your post to the Blogger Brags Pinterest board. 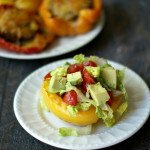 I love stuffed peppers, these sound wonderful! Thanks for sharing at What’d You Do This Weekend?! Mmmm these look so delicious! 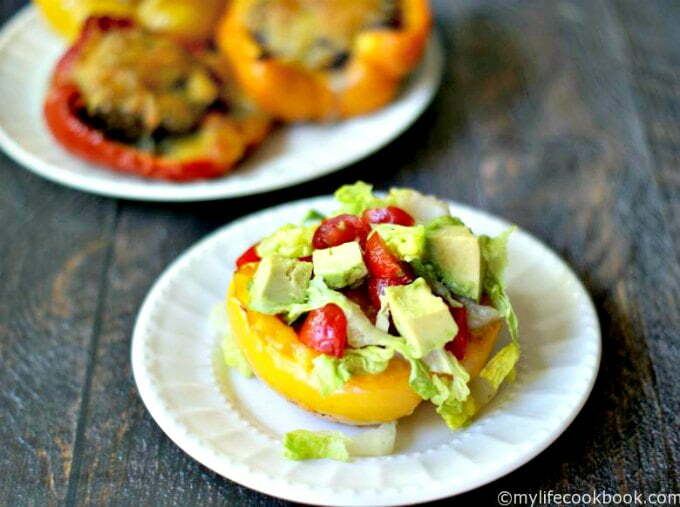 I love stuffed peppers and I know these would be no exception!